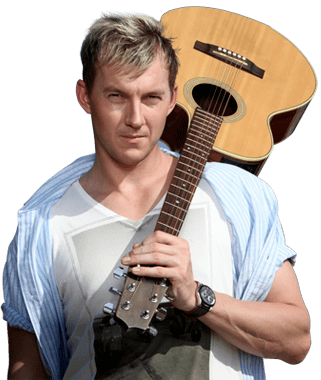 Brett Lee (born 8 November 1976) is a former Australian international cricketer, who played all three formats of the game. During his international career, Lee was recognised as one of fastest bowlers in the world of cricket along with Shoaib Akhtar. He is known for his consistency of pace, going over 150 kilometres per hour (93 mph) throughout his career. His quickest delivery was 161.8 km/h (100.5 mph) in a test match against the West Indies in 2002, but because they were playing in a charity match, it was not officially recognised as the fastest delivery ever. After that the world record for the fastest delivery ever is held by Shoaib Akhtar at 161.4 km/h (100.3 mph). Lee's quickest delivery in ODIs is 161.1 km/h (100.1 mph) playing against New Zealand in 2005. He is also widely regarded as one of the best pace bowlers ever to have played the sport. Lee was known for reaching a hundred miles an hour many times throughout his cricketing career. In each of his first two years, he averaged less than 20 with the ball, but since then has mostly achieved figures in the early 30s. He was also known as an athletic fielder and useful lower-order batsman, with a batting average exceeding 20 in Test cricket. Lee finished his Test with 310 wickets, and his One Day International career with 380 wickets. Lee featured in the Australian teams that won the 2003 and 2007 World Cups. He announced his retirement from all forms of international cricket on 12 July 2012, having played his first Test in 1999. He subsequently declined to renew his contract with his home state side New South Wales, but continued to play Twenty20 matches for several seasons after, most notably in the Indian Premier League (IPL) and Big Bash League. In January 2015, Lee announced his retirement from all forms of the game, effective at the end of the 2014–15 Big Bash League season. He is currently a film actor and a former Channel Nine Commentator. Lee started playing in the junior teams of his local side, Oak Flats Rats, and gradually worked his way up the ranks. At 16 he began playing first grade cricket for Campbelltown, where he managed to claim the wickets of a few New South Wales cricketers, and Mosman, where at one point, he shared the new ball with Shoaib Akhtar and briefly played alongside England batsman Andrew Strauss. Lee was called up to the Australian Under 17 & 19 teams. In March 1994, he was forced out of the Australian under-19 team to tour India due to stress fractures in his lower back and it forced him to remodel his bowling action to minimise the impact on his back. He was awarded a scholarship to attend the AIS Australian Cricket Academy in the 1995–96 season. His contemporaries included fellow internationals Jason Gillespie and Mike Hussey. Prior to making his first-class debut, Lee played for Mosman in the final of the 1996–97 Sydney Grade Cricket competition. Lee was first named in the New South Wales Blues squad as the twelfth man for the 14–16 November match against Queensland in the 1997–98 Sheffield Shield. The following week, he made his first-class debut for the Blues against Western Australia and took 3 wickets at 114, including that of the captain Tom Moody. It would be his only appearance in the Sheffield Shield for the rest of the season. He ended a memorable month by taking a 5-wicket haul in the Sydney grade Limited-Overs Cup final against Bankstown on 30 November. During the 1998–99 season Lee was a more regular presence in the latter stages of the Sheffield Shield. He took 14 wickets, including a 5-wicket haul against Tasmania in the second innings. He started the 1999–2000 season by claiming 8 wickets in his first two matches. Such performances impressed his New South Wales teammate Steve Waugh, who was then Australia captain, and culminated in his Test debut in December 1999. He finished the season as the Blues' second-highest wicket taker in the Pura Cup with 24 wickets in 5 matches. After a successful Test series against India, Lee returned to domestic cricket and was named in the 2008 Pura Cup final. He hit his career best batting score, 97 against Victoria in the Blues' second innings and scored a record 176-run partnership with Beau Casson. In Victoria's second innings, he took 4–72, dismissing the last four tailenders, as the Blues won the final. In 2009 he battled back from injury and was a key player in New South Wales' success during the Champions League Twenty20. During the final he played an important part with both bat and ball and was named Man of the Match. He also won the Man of the Series award. Following his retirement from Test cricket, Lee stopped playing first-class cricket to concentrate on the limited-overs formats. He was the Blues' highest wicket-taker in the 2010–11 Ryobi One-Day Cup with 15 wickets and had the second best economy rate of the top five wicket-takers despite missing the latter stages of the campaign due to international duty. In June 2012 he declined to renew his contract with the Blues, ending his 15-year association with his domestic team. He retired from Big Bash League after playing the final match for the Sydney Sixers on 28 January 2015. In his last over, he took two wickets of successive deliveries, however, his hat-trick ball did not result in a run out in what was to be the final ball of the match, which Sydney Sixers lost by a run. One month after making his first class debut, Lee was chosen to represent the Australian A team on a tour to South Africa. He claimed two wickets but in that very match, stress fractures in his back from the previous injury had re-opened and Lee was in a back brace for over three months. By the late 1990s there were calls for Lee to be included in the national squad. Captain Steve Waugh, who also played with him for New South Wales, was impressed by Lee's debut and pushed for his inclusion into the national team. He was eventually chosen in the final 14 for the Test series against Pakistan in 1999 but failed to make the starting 11. By the time the Test series against India came around, he was twelfth man. However, he duly made his Test debut for Australia in December 1999 against the touring Indians, becoming Australia's 383rd Test cricketer. Bowling first change, Lee took a wicket in his first over in Test cricket when he bowled Sadagoppan Ramesh with his fourth delivery. He also captured Rahul Dravid in his first spell before returning to take three wickets in six balls to finish the innings with figures of 5/47 from 17 overs, becoming the first Australian fast bowler since Dennis Lillee to take 5 wickets on debut. Lee took 13 wickets in his opening two Tests at the low average of 14.15. Lee won the inaugural Donald Bradman Young Player of the Year Award at the Allan Border Medal award ceremony in 2000 soon after his debut. Lee took 42 wickets in his opening three series, the most by any Australian bowler in the seven matches he played. He was selected for the Test series against the West Indies in late 2000. During the first Test he scored his first half-century in test cricket and in the next Test, took seven wickets including a five wicket haul in the second innings. However, he suffered a stress fracture of the lower back which kept him out of the next three Tests. He returned against Zimbabwe but soon suffered another setback a month later when he broke his right elbow and was sidelined until May 2001. Lee returned to the international team for the 2001 Ashes series after recovering from an elbow injury. His comeback saw less success than his debut, managing only nine wickets in five Tests at 55.11. However, Lee was back as Australia's leading wicket-taker in the first and third Test against New Zealand later that year, in a series which he captured 5 wickets in the second innings and made a contribution of 61 with the bat in the first Test match. The series ended in a 0–0 draw. He finished the series with 14 wickets at 25.14. The two home and away series against South Africa were not as productive, yielding 19 wickets in six Tests at 38.42. Lee only took five wickets in a match on three occasions between the New Zealand series and the 2003 Cricket World Cup. Lee came under pressure for his position after taking only five wickets at 46.50 in the three-Test series against Pakistan in 2002. Andy Bichel, who was filling for the injured Jason Gillespie, took eight wickets at 13.25. With the other frontline bowlers all taking wickets at less than 13, Lee was dropped when Gillespie returned for the first two Tests during the 2002–03 Ashes series. He returned for the Perth Test, after claiming a five wicket haul in a Pura Cup match against Queensland for New South Wales. He took thirteen wickets at 41.23 in three matches, compared to Bichel's ten at 35.1. After the 2003 Cricket World Cup, Lee took 17 wickets at 28.88 in four Tests against the West Indies. It was the first series in two years where he averaged under 30, and only the second in that period where had averaged under 40. After a mid year break, he participated in a Two Test series against Bangladesh in northern Australia. He took six wickets at 31.66, and was Australia's most expensive bowler, with the other specialist bowlers averaging 15.55 against the lowest ranked team in Test cricket. He followed this with six wickets at 37 in a comfortable 2–0 Test series against Zimbabwe, in which the other specialist bowlers averaged 23.15. Against the Indian batting line-up in the 2003–04 home series, which ended in a 1–1 draw for Australia, Lee was out of the first two Tests recovering from a torn abdominal muscle, an injury which he sustained during the Zimbabwe series. Lee took eight wickets in 100 overs in the final two Tests against India, at an average of 59.50. This Test included a double century to Sachin Tendulkar in the Indians' first innings of 7/705 where Sachin and V.V.S. Laxman freely attacked Lee and other bowlers in the final Test in Sydney. He ended the series with the worst average and economy rate of Australia's front line bowlers. He was subsequently replaced by fellow fast bowler Michael Kasprowicz in 2004 during the tour of Sri Lanka when Lee's ankle injury worsened, forcing him to return home to have surgery. This injury would force Lee out of the game for 4½ months to ensure his full recovery. Lee's form in the Test arena had been ineffective, and from July 2001 to January 2004, he had a Test bowling average of 38.42, compared to an average of 16.07 in his earlier career. Lee was unable to reclaim his position for eighteen months, when Kasprowicz took 47 wickets at 23.74 in thirteen Tests, taking his wickets at a much lower cost than Lee had done in the previous three years. This included 17 wickets at 26.82 on the spin friendly pitches of the Indian subcontinent, helping Australia to its first whitewash in Sri Lanka, and its first series win in India for 35 years. After 18 months on the sidelines, Lee returned to the Test team in the 2005 Ashes series. With Kasprowicz and Jason Gillespie both struggling for form, Lee returned to take the new ball with Glenn McGrath. He averaged 40 with the ball for the series, which some commentators have put down to having to bowl longer spells than he was accustomed to at the time, but was retained, in part because of his defiant batting which yielded runs at an average of 26.33. During the Ashes, he claimed his 150th test wicket off Andrew Strauss with a straight yorker on Day 1 of the third test. Part of Lee's difficulty at Test level is that the benefits of his high speed, which give the batsmen less reaction time, also results in more erratic bowling. In recent times he has tried to concentrate solely on accuracy by reducing speed. During the first Test against the West Indies in late 2005 at the Gabba, after declaring that he would sacrifice pace and focus on 'line and length', Lee reverted to his initial style of bowling, based on the advice of his captain Ricky Ponting after his new method of bowling failed in the first innings. This saw him take 5/30 his fifth five-wicket haul in Tests, his first in four years. 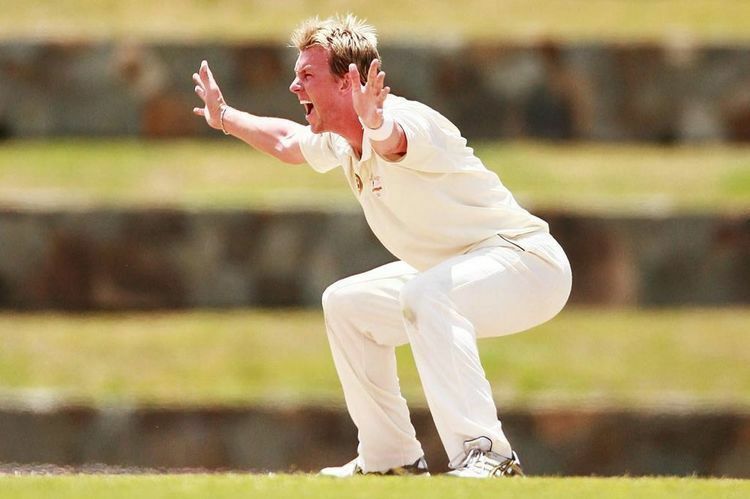 In the 2005-06 Australian cricket season, Lee's Test figures improved from his 2001–04 difficulties, with a season bowling average of 25.74. During South Africa's 2005–06 tour of Australia, Lee's form saw a steady improvement, with figures of 5/93 in the first Test at Perth. He finished the three Test series with 13 wickets and of the Australian bowlers, was second only to Shane Warne's 14 wickets in the series. Three Australian players including Lee, who was reprimanded in the Third Test in Sydney for showing dissent towards umpire Aleem Dar. With the unavailability of Glenn McGrath for the tour of South Africa in March–April 2006, Lee became the spearhead of the Australian bowling line-up. In the second Test of that series, at Durban, Lee captured his 200th Test wicket in his 51st match and also captured figures of 5 for 69, on the back of 49 Test wickets in 2005. He was named as one of the Wisden Cricketers of the Year. He was unable to maintain his performance when Australia visited Bangladesh for a two Test series, taking two wickets at 93, coming bottom of Australia's bowling averages. In the first three tests of the 2006–07 Ashes series, he only took eight wickets and was fined for excessive appealing in the Third Test in Adelaide when a LBW decision was not in his favour. However, during the week period between the Adelaide and Melbourne tests, he worked with Troy Cooley, Australia's bowling coach, to adjust his run up and came back in the 4th and final tests with more wickets. He finished the series 20 wickets, with his best bowling figures being 4 for 47 at an average of 33.20, including 6 in the final test. His tally was only bettered by his teammates Stuart Clark, Shane Warne and Glenn McGrath as the quartet claimed more wickets than the entire England bowling attack combined. Following the retirements of Warne and McGrath, Lee rose to the challenge and was awarded the Man of the Series in the inaugural Warne-Muralidaran Trophy, a two-Test series against Sri Lanka in late 2007. In his first series as bowling spearhead reaped 16 wickets at an average of 17.5. This was achieved by bowling 5 km/h (3.1 mph) slower to improve accuracy. In the following series Lee took 24 wickets at 22.58 in four Tests against India. In this series he overtook Jason Gillespie to become Australia's 5th highest wicket taker. His consistent efforts saw him rewarded with the Man of the Series Award for the Border-Gavaskar Trophy, 2007–08. He capped off the season by winning the Allan Border Medal, the award given to the player adjudged Australia's best international cricketer of the past year. Lee seemed underdone in the 2008 Australian tour of the West Indies, taking only 5 wickets in the first Test match, during which he seemed exhausted. He returned to productivity, taking eight wickets in the Second test, including a 5 wicket haul, and 6 in the Third Test. During the Indian tour, Lee picked up a stomach virus and was unable to find his best form throughout the series. Lee showed glimpses of his best form when the team returned to Australia for a two test series with New Zealand, but generally seemed down on pace. However, he struggled in the two tests he played of the series with South Africa, which Australia lost 2–1, likely due to a niggling ankle injury and then a stress fracture he developed during the series (both in his left foot). The fracture broke completely during the second innings of the Boxing Day Test-match and he was forced to return home for surgery. By the time he returned to the Australian team for the Ashes in 2009, his position as spearhead had been usurped by the left armer Mitchell Johnson. Additionally, the arrival of bowlers like Peter Siddle, Ben Hilfenhaus and Doug Bollinger ensured that Lee had to fight for a position in the team. However, he took six wickets in the first innings against the England Lions team in a practice match leading up to the Ashes. Lee was the only bowler to get reverse swing in this match and appeared to be in line for selection for the First Test at Cardiff. However, he picked up a left side strain and a sore rib in this match and he was ruled out of the first three Tests. He was then overlooked for a recall and never played test cricket again, announcing his retirement from test cricket at the beginning of 2010. Lee had been considering retiring from Test cricket for some time since 2008 due to the physical strain. In February 2010, he announced his retirement from Test cricket after consulting friend and England rival Andrew Flintoff, stating that bowling "at 150 km/h for five days is very hard on the body". He had been out with a string of injuries and had not played a Test since December 2008. He ended his Test career with 310 wickets in 76 tests, the fourth highest Australian total behind Shane Warne, Glenn McGrath and Dennis Lillee. Lee made his One Day International debut for Australia against Pakistan on 9 January 2000 during the Carlton and United Breweries Series at the Gabba, Brisbane. He became the 140th ODI cricketer to represent Australia. In February 2002 against South Africa, he scored his first ODI half century, 51* not out. In One-day Internationals, he was ranked by the ICC as the No. 1 ODI bowler in January 2006 and has been ranked among the top ten ODI bowlers since the start of 2003. His bowling strike rate of around 30 puts him amongst the most incisive in this form of the game. He also has a One-day International hat-trick to his name, achieved in the 2003 World Cup against Kenya. Lee was the first Australian and fourth bowler to ever achieve this feat in World Cup history. In the matches Australia played in the 2005–06 triangular one day series, Lee gave a display of his useful batting abilities by making 57 in the second game in a 100 run partnership with Michael Hussey to pull Australia out of a middle order collapse. Lee finished the series with 15 wickets, the third highest tally behind Nathan Bracken and Muttiah Muralitharan. His bowler-fielder partnership with long-time international teammate and wicket-keeper Adam Gilchrist yielded 58 wickets in 151 matches, the fourth highest of all time in ODI history. 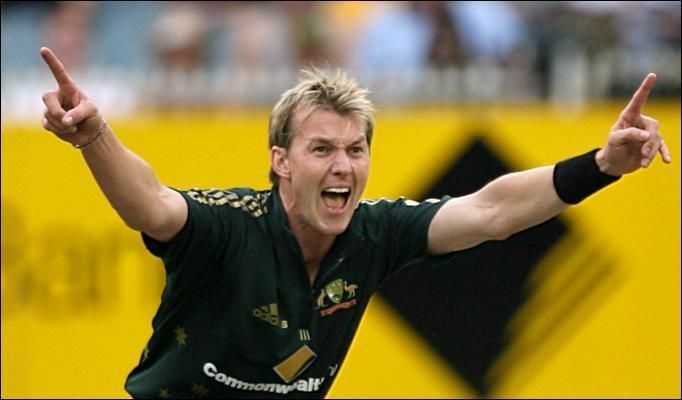 With main bowler Shane Warne banned from the 2003 World Cup the day before the opening match, Lee moved up the pecking order and, together with Andy Bichel and Glenn McGrath, formed one of the tournament's most lethal attacks, claiming 59 wickets between them. Lee concluded the tournament with 22 wickets off 83.1 overs at an average of 17.90, a wicket behind Sri Lankan left-arm fastbowler Chaminda Vaas. Lee also had a third leading strike-rate of 22.68 behind West Indian fast bowler Vasbert Drakes and Australian counterpart Andrew Bichel who topped the strike-rates with 19.43 and 21.37 respectively. He also reached the 160 km/h (99 mph) mark thrice; his delivery to Marvan Atapattu in the semi-final of the reached 160.1 km/h (99.5 mph) and hit 160.7 km/h (99.9 mph)160.6 km/h (99.8 mph) in his second over against England in the group stage. Lee earned six of his 22 wickets during the group stage, 11 wickets during the Super-six stage, 3 from the semi-final and 2 wickets from the final which Australia won. He took one five-wicket haul, 5 for 42, against Trans-Tasman rivals New Zealand during their super-six encounter at Port Elizabeth to put Australia ahead after a dismal innings. He also earned his first international hat trick with figures of 3 for 14 against Kenya during the last match of the super-six stage. After having to return home due to injury during the 2007 World Cup, Lee traveled with the squad to England for the 2009 "English summer" tour. He was left out of the test side during the Ashes but was in the one-day side for the NatWest Series in September. He was the highest wicket-taker for Australia with 12 and also took his ninth five-wicket haul in ODIs as Australia made a clean sweep winning all except one match in the series. With that five-wicket haul, he became the first person to take two five-wicket hauls in ODIs at Lord's; the ball used is now on display at Lord's MCC Museum. Later that month he was a part of the successful 2009 ICC Champions Trophy squad and was level on 6 wickets with teammates Peter Siddle and Shane Watson, the highest total for the Australian team. Injuries sustained in test matches forced him out until 2011, having not played for Australia for almost two years. In the subsequent ODI series, his return was more successful. He finished as the leading wicket-taker for the series with 11 scalps at 24.00, his series best figures of 3/27 coming in the third match at the SCG. His pace was consistently around the mid 140s km/h and on occasion he once again managed to break the 150 km/h (93 mph) mark.. Despite competition from younger bowlers and another injury setback, Lee managed to make the squad for the 2011 Cricket World Cup. He finished the tournament with 13 wickets, the highest of all the bowlers in the team. Of the 13 wickets, 4 came in the match against Pakistan but it was not enough as Australia lost the match and eventually crashed out at the quarterfinals to rivals India. Against the West Indies in March 2012 he hit his highest score, 59 before getting caught off a ball by Kemar Roach. His final ODIs were during the 2012 tour of England and Ireland. During the match against Ireland he opened the bowling and bowled William Porterfield and Ed Joyce in only his first three deliveries. Upon his retirement form international cricket, Lee had played in 76 Tests, 221 ODIs and 25 T20Is, and had equalled Glenn McGrath's run of 380 wickets in ODI matches – the highest for Australia. In July 2014, he played for the MCC side in the Bicentenary Celebration match at Lord's. Lee made his Twenty20 and T20 International debut on 15 February 2005 against New Zealand in the first ever T20 international match. He was called up to the squad for the 2007 ICC World Twenty20. During the tournament, he made history by claiming the first hat trick in T20 internationals in the Group F match against Bangladesh and also won the Man of the Match award. Lee was known for his pace and regularly clocked 90 mph (140 km/h) and above. He ranks only behind Pakistani bowler Shoaib Akhtar (161.3 km/h, 100.2 mph) as the fastest bowler in contemporary cricket during most of the 2000s. The strain of consistently bowling at 150 km/h (93 mph) caused a string of stress fractures and recurring injuries and forced him to alter his strategy, which he has done effectively. Rather than relying on pace alone, he uses a wide array of deliveries aimed at wearing down the batsman, although he has been known to bowl entire overs above the 150 km/h (93 mph) mark. His fastest ball was clocked at 161.1 km/h (100.1 mph) against New Zealand in 2005. In a match against West Indies in 2000/01 he bowled a delivery which was clocked at 161.8 km/h (100.5 mph), but it was not an official match and therefore not recognised by the ICC. Early in his career, Lee was reported for a suspected illegal bowling action, but was cleared, and was also heavily criticised after bowling a series of beamers at batsmen during a number of ODIs in 2005. Captain Ricky Ponting defended Lee saying that it was not intentional. His slower balls also has dramatic falls of pace with varying length, often from a cutter grip, where it can go as slow as 100 km/h (62 mph), but it hovers on average around the 115–130 km/h (71–81 mph) range. He is also known to celebrate many bowled wickets with a chainsaw celebration. Lee was a competent lower-order batsman. Together with Mike Hussey, he has held the record for highest 7th wicket partnership for Australia in ODIs since 2005–06 with 123. During the 2005 Ashes series, Lee had numerous defiant innings, including a stand of 43 not out in the Second Test at Edgbaston, Australia's highest individual score in that innings. This innings nearly won the match for Australia but the other batsman Michael Kasprowicz was caught behind by Geraint Jones and England won by just two runs. After the memorable match, England bowlers Steve Harmison and Andrew Flintoff went over to console Lee. The image of Flintoff consoling Lee was a moment which came to symbolise a hotly contested series. On 2 April 2006, Lee hit his highest Test score of 64 in 68 balls against South Africa at Johannesburg. His previous highest score in Tests was 62 not out which he made against the West Indies in 2000 at the Gabba. Lee nearly surpassed this score on 3 January 2008 against India when he made 59 off 121 balls. Lee had also once again nearly surpassed his highest test score when he had made 63 not out, but unfortunately Ricky Ponting had declared the innings in the 2nd test against the West Indies. As a result of this, he fell one run short of his highest test score. Lee's highest score in ODI matches is 59 against West Indies at West Indies in March 2012. On 5 February, Ireland appointed Lee as a bowling coach during 2015 Cricket World Cup. His best ODI batting score of 59 was made against West Indies in 2012. His 350th wicket was Nuwan Kulasekara, against Sri Lanka at Kandy in 2011, becoming just the second bowler in Australian history to get 350 wickets. Lee was the first player in Twenty20 International cricket to take a hat-trick. Lee is the fastest bowler to take 300 ODI wickets. He achieved this in 171 ODI matches. Lee is the second highest wicket taker for Australia in ODIs, with 380 wickets. Lee and Bob Willis are the only cricketers to take more than 300 wickets in a Test career without having any ten wicket hauls. As of June 2013, he and Zaheer Khan are the only Test cricketers with 300 or more wickets but only 10 (the least among the 300 wicket club) 5-wicket hauls in test innings. After announcing his retirement from international cricket, Lee joined the Channel Nine cricket commentating team, reuniting with former Australia and New South Wales teammate Michael Slater. He also provides support for Slater on The Cricket Show. Lee is the second of three sons born to Bob, a metallurgist, and Helen (née Buxton), a piano teacher, and grew up in the Wollongong suburbs of Oak Flats and Mount Warrigal. His older brother Shane is a retired all rounder and former international and younger brother Grant previously played cricket for New South Wales U-19, and is now an accountant. Lee attended Balarang Public School and Oak Flats High School, which later named its cricket ground in his honour. The brothers first played cricket together in front of their house using a tennis ball and the garage door as the "wicket-keeper". As a child he idolised Allan Donald and Dennis Lillee, the latter of whom would become a mentor to him as a teenager. Lee has been known by his nickname 'Binga', after the chain of electronics store Bing Lee, since his high-school days. He was once briefly nicknamed "Oswald" by former Australian captain and New South Wales teammate Steve Waugh during his early international career. During an ODI around 2000, he was in the batting order behind his brother Shane and Ian Harvey. When Waugh read out the batting order, instead of reading "Lee, Harvey, Lee", he read out "Lee, Harvey, Oswald" (Lee Harvey Oswald). Lee is part of the rock band Six & Out. The band is made up of his brother Shane and former New South Wales cricketers Brad McNamara, Gavin Robertson and Richard Chee Quee. Lee plays the bass guitar or acoustic guitar for the band. During the 2006 ICC Champions Trophy in India, Lee wrote the lyrics for You're the One For Me and recorded it with Indian singer Asha Bhosle. The song reached a peak position of number two on the Indian and South African charts. In 2008, he filmed scenes for his first Bollywood movie Victory. In November 2011, Lee launched his autobiography, which he wrote with the help of author James Knight. In September 2013, Lee tweeted his support for Tony Abbott, leader of the Liberal Party of Australia in the Australian federal election 2013. Lee's sponsorship deals include the breakfast cereal Weet-Bix (which at one time were marketed as "Brett-Bix"), Gatorade and Volkswagen, of which Lee has two vehicles. On the field sponsorship includes uvex Safety Eyewear. He is currently not sponsored by any cricket equipment manufacturer. Travelex has also developed the game Brett Lee's Backyard Cricket in which a caricature of Lee is featured. Owing to Lee's popularity in India, he has a number of major sponsorship deals there, including for Timex watches, New Balance shoes, Boost energy drink and TVS Motor Company. In 2001 Lee launched his own fashion label 'BL'. Lee was appointed as the Global Hearing ambassador for Australian medical device company, Cochlear. Cochlear specializes in Cochlear Implants. Lee supports a number of charities including the Salvation Army, the Adventist Development and Relief Agency (ADRA) and the Make a Wish Foundation, in which Lee was named an 'Official Friend' in honour of his long-standing association with the foundation. He began supporting ADRA along with his brother Shane when a close friend committed suicide. In 2007, Lee initiated Mewsic, a charitable foundation in India. Mewsic aims to facilitate the involvement of disadvantaged young people in music. Mewsic aims to ensure that music is widely recognised as a powerful tool to heal, empower, educate, and advocate for marginalised children in India. Mewsic has established six centres of music across India. 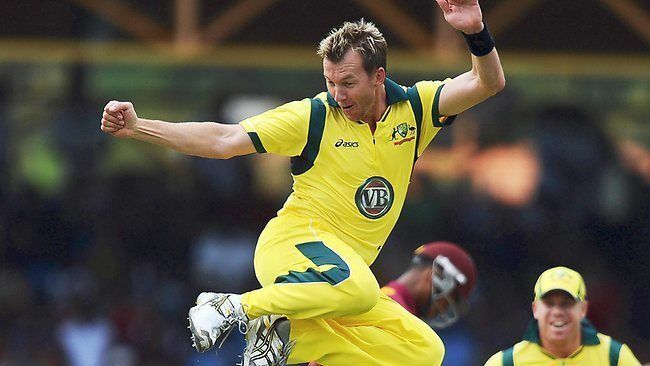 Brett Lee was cast in the Indo-Australian film UnIndian opposite Tannishtha Chatterjee. The film was shot in Sydney. This was announced by Australian Prime Minister Tony Abbott during his visit to Mumbai on 4 September 2014. This film was released in India on 19, August 2016 and had good takings at the box office.